Horsehead Crossing supposedly got its name from the legend that a band of Comanche warriors lost many horses to the poisonous Pecos brine. Their skulls littered the river banks. 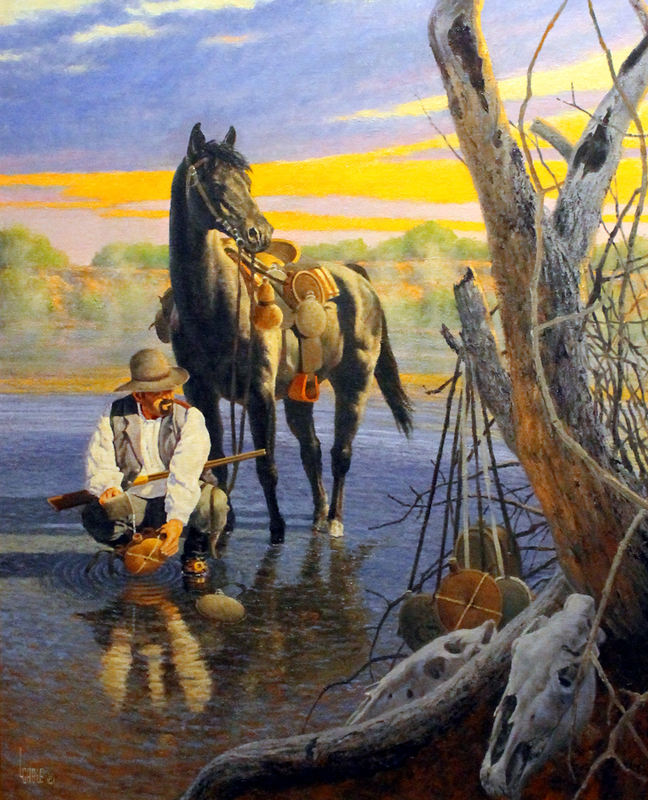 Early in the morning, he took all the available canteens to the Horsehead Crossing. 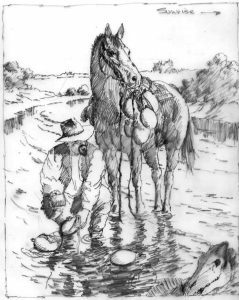 He wanted the cowboys and horses to be hydrated before the formidable task of controlling the thirsty cattle rushing to the water. Decided to move Charles and his horse closer to the foreground to have more impact. Moved the distant river bank farther back to become a lesser element. Added another skull for interest and to suggest that a number of skulls were there.